If a beautiful exterior paint job is what you’re looking for, then you know that there’s more to it than a great choice of color. MC Painting provides you with the highest-quality of professional painters in the Westerville area, but we also know that there are steps that need to be taken in order for your home to look incredible. One of the services that you could see being extremely beneficial is our power washing and caulking services. While they may seem like small, additional steps to take in the scheme of having a beautiful home, they truly are some of the best things that you can do, and here’s why. The siding of your home most likely has a few cracks that are letting in air from outside, into your home. These types of cracks, while small, can have a huge impact on your home and the overall efficiency of the infrastructure. When our team goes through and provides you with the caulking service that we offer, we’ll check the siding of your home and ensure that any cracks that are causing an issue with the efficiency of your home are taken care of. This tiny addition will truly provide you with a big difference and is something we always recommend our customers investing in. When you plan on having the exterior of your house painted, this is the best time to do so. Exterior paint is a little bit different than interior paint for the primary reason that it is exposed to much more. The job that we do on the exterior of your home is going to have to uphold the different temperatures that come through Westerville, the rays of the sun, storms, and any other forms of dirt, grime and growth that mother nature allows. Power washing is another way to make the exterior of your home look entirely different. 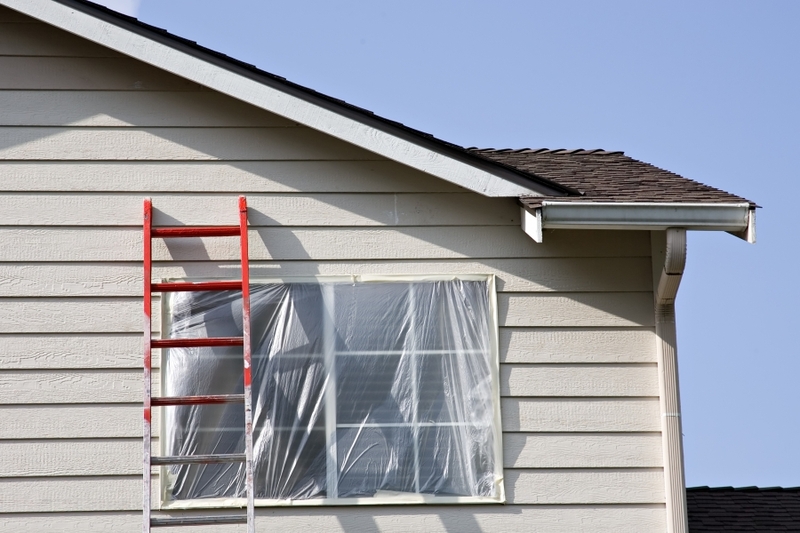 If you have vinyl siding, a good power washing job can make your home look as good as new. In the case that it really is time for a new coat, power washing your home can clean off any dirt, algae, growth, etc., that have built up on the exterior of your home. Doing so means that any paint we put on your house is much more likely to stick and will ultimately look better. It’s another small step that can truly provide an incredible look to your home. If you’re interested in having either of these services completed before you paint, make sure to call MC painting so that we can schedule them in advance!